While the rest of the world is blowing around in the wind, our True Self always lives from the eye of the hurricane where life is calm and quiet. In the ancient world, everything had meaning. Every event had a lesson. Every person and every experience was a mirror into our inner world, our thoughts and our beliefs. The ancient ones understood that nothing could happen to us unless we had a belief that allowed it into our experience. This was a very powerful way to live. It isn’t easy to take responsibility for the problems that come into our life, especially when they are as big as a hurricane. I’ve known this for years and still struggle with it every day. But it is how we were born to live; if we have the responsibility, then we have the power. The trick to life in the ancient world was to stay in the eye of the hurricane where everything was calm. Since our beliefs created our reality, our job was to make sure that we didn’t accept beliefs into our mind that allowed problems to enter our life experience. Our True Self has no beliefs. The True Self doesn’t know of problems. Very few people live from the True Self. Often it takes a crisis for people to drop their beliefs and live from the truth. People who have been polarized by the 2012 election will help another out in a crisis regardless of party if their lives or homes are in danger. It is sad, but often reality. Our True Self doesn’t know of problems. The True Self is always calm, always clear, always empowered. While the rest of the world is flying around in the winds of their false self, the True Self sits calmly and quietly in the eye of the hurricane. While many people live through an event like a hurricane, each person has a unique experience. According to the ancients, each gets their own personal message. Each one gets the challenge that they need the most. The reason for the challenge is only to push them to let go, to move to the eye of the hurricane, to stop fighting life by rigidly holding on to beliefs that just aren’t true (especially the beliefs they have about their fellow human beings). 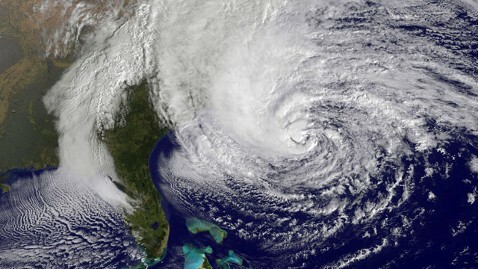 The Eye of the Hurricane is simply a symbol. But every challenge that comes us has an eye. It is that place in our minds where we can see the beliefs that allowed the experience to unfold for us as it did. The more we let go, the easier it is to stay in the eye. The ancients taught us that nothing bad could happen if we didn’t have a belief that let it in. So bad events and people expose the beliefs we hold in mind. Sadly that information was lost, and losing that secret stripped us of our power. We won’t let go of beliefs if we don’t know they are false or don’t know we can let them go. Kings don’t have slaves if people are empowered. Religion isn’t necessary if people recognize their power. You don’t need prophets or oracles to talk to God for you if you can do it yourself. So early religious and political leaders made God responsible and humans powerless. Kings and priests could talk to God, and God said what the kings and priests decided they would say. Humans became mortal and flawed. The Goddess was silenced; and the link between the normal human being and God was cut. People no longer understood why bad things happened to them when they tried so damn hard to be good. When the leaders are sitting in the eye of the hurricane, and we are flying around in the wind, it does no good to take personal responsibility because we’ve given them our power. We have to recognize that leaders are not our authorities, we are. We have to let go of the beliefs that keep us inferior to our leaders. We have to take back our power. We have to know that we control our destiny. We have to know that our own thoughts and beliefs affect the quality of our life. It is time that we all take back our power. We need to look at our beliefs and if they don’t increase our personal power, help to keep us safe and secure, or reconnect us to God, then we need to let them go. We were meant to live in a diverse and crazy world from the eye of the hurricane. We were meant to live from certainty and clarity. We were meant to be able to discriminate between truth and falsehood. We were meant to be responsible for our life, and that is very good news. People can play a leader role in religion and in politics if they can inspire us and make win-win decisions that support our personal power. They can help us to stand in the eye of the hurricane along side of them. They don’t get to tell us what to think or who we are. They don’t get to stand in the way of our safety or our connection to God. They don’t get to tell us how to live. They don’t get to control our destiny. And if they do throw us out in the wind, we have the right to ignore them because they are false. We have the right to live in the center, in the eye of the hurricane. Staying in the eye of the hurricane requires eliminating level confusion. 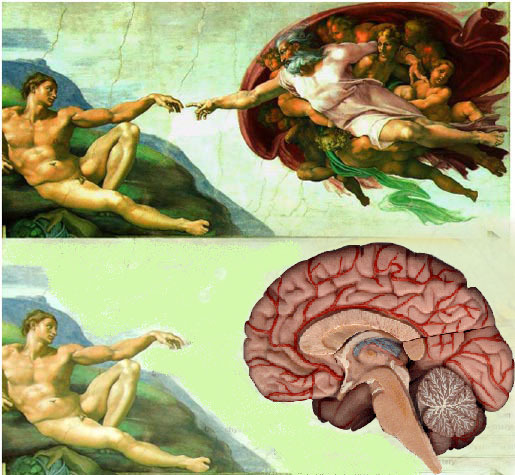 Few people notice that Michelangelo placed God (as well as a woman and children) inside the right half of a brain. He was trying to tell us something important. When the story of Adam and Eve became widely accepted as true, the Adams of the world rose to a place of false superiority, as if incapable of making an error; and the Eves got blamed for the problems that the Adams manifested. Adam demonstrated a very good trick, how to fake innocence and blame the feminine. And so it has been. The Adams blame, and the Eves accept the blame stripping away the power of the feminine for men and women. This is the curse of humanity that we perpetuate by repeating the same pattern of thinking over and over. This fall story plays out every day in homes, schools, offices, and political arenas. The person who claims authority (the masculine Adam role) in any relationship usually claims innocence, while the one in the feminine Eve role feels they did something wrong that they can’t take back. The fall story must have weighed heavy on Michelangelo’s mind. Being a gay artist, he lived as an outcast in society. Outcasts don’t have authority; they live their lives in the feminine Eve role. Michelangelo’s only power was in his gift. No one questioned him when it came to sculpting or his fresco (even though he didn’t know how to fresco when he accepted the Sistine Chapel commission). Michelangelo painted an obscure message on the ceiling of the Sistine Chapel. He painted God in the right half of a brain. Within each of us, we have a masculine mind aspect and a feminine mind aspect. Michelangelo’s right brain is a metaphor for being in the right or feminine mind. Women mostly project out their masculine mind aspect, and most men do the opposite by projecting their feminine. But a gay man would be more comfortable in the mind of the feminine. Ultimately, our masculine and feminine are designed to work together as equals, like Adam and Eve in the Garden of Eden. When we are in our True Self power, our masculine and feminine aspects always agree, are in balance, and are not projected outward without our awareness. In the ancient world, this was called the alchemical marriage. It was the goal of initiation. When we have this inner congruence, God or our True Self is our male aspect, our inner authority; and our creative feminine rests in the comfort and safety of this true authority. Expression of our gifts is effortless because we are whole. Michelangelo was part of a largely gay artist community in Florence during the Renaissance along with Leonardo and Raphael (the other Ninja Turtles). They studied in secret, performed illegal human dissections, and hid the truth of life in their work for us to find. They clearly didn’t fit the mold of the Catholic church, and they knew that fighting the church would cost them their life. They took commissions from the church, but then left messages all over the Vatican for us to discover with delight today. They could do this because their gifts were so powerful that they became the authority when they did their work, and no one was the wiser. God in a big old right brain is one of the gems that Michelangelo left. Secret society symbolism looked like interesting art to the masses and even the religious elite; but to the brotherhood, it spoke volumes. Secret societies and ancient schools of initiation taught the power of the feminine. Isis resurrected the Egyptian King Osiris. Babylonians worshipped Ishtar. Ancient Greeks worshipped Athena, and the Knights Templar placed black Madonnas in churches. Even the Holy Grail is a feminine cup. There were always powerful creative men who understood this, and they hid the power of the feminine message in everything from watermarks to stained glass windows. The religious and political elite, however, needed to keep the power of the feminine under wraps because anyone who reclaims that power can’t be lied to. Michelangelo put the power of the feminine with God because the initiates knew that the feminine within didn’t fall. The feminine is receptive; it can’t fall unless the male aspect falls and takes it down with it. Our inner male holds beliefs; and when we cover our unconditionally loving God (True Self) within with beliefs, our feminine gets a little bitchy. She struggles to express her creativity. Michelangelo exposed the power of the feminine (women and children) by placing them with God in the right side of the brain. Creating is about living in the image and likeness of the Creator God. Adam was left alone barely able to reach God’s finger. He represents the intellectual male mind, filled with beliefs, who blames his emotional Eve mind for his problems or sins. Michelangelo died feeling like a failed man. I think about that often. The power and glory of his art was a brilliant light, but it was in the closet. He could not be open about the love of his life, who he painted into The Judgment fresco; and more important, he could not be open about the truth of life that he hid in his art. He lived quietly in the background while those that lied ruled the world. If I could have a word with Michelangelo, I would want to let him know that he was perfect, that he has been a true role model for me, and that his message has been received. If you are still hungry for more Michelangelo, here is a tribute post to him. What is the Real Flip Side of Winning? Charlie Sheen had a point even if he did take things to the extreme. Humans are conditioned to believe that winning is everything and losing is a reason to try, try again or try harder. We don’t want to be labeled a loser, but we are never a loser unless we lose sight of the real prize. We often focus our eyes on a shallow or material prize that usually has a very important hidden meaning. It is that hidden desire or fear that shows us where we need some mental healing. Maybe we think that winning will cause us to be someone special or deserve greater things in life. Winning might bring us money so we don’t have to struggle anymore. Winning might open the door so we can express our talent or gift. You see it isn’t the win we want, we want what appears to be missing underneath. The irony is that we aren’t ever missing anything; what we want has simply been covered up by a belief — a belief that someone else gave us and isn’t even true. It is actually our losses that expose our beliefs most often. When we understand that, our loses can become even greater wins. The big question that we are all really asking is: What is rightfully mine? Often we want something because it made someone else happy. Our parents and friends push us into their perspective of happiness and convince us to follow a proper career or marry a proper partner. But following what others feel is right for us, takes us down their path. We may end up getting what is right for them and sadly have to bear the enormous pain of watching another get what is right for us. It isn’t selfless to give up what is rightfully ours. People who give up their desires can’t support others who do choose to follow their heart. People who abandon their desires become jealous of other people’s success even if the person deserves it. They lay guilt on those who succeed. Often we believe them and start to question our motivation or desires until we are company for their misery. Sometimes people think they want what we have. To feel good, they have to mentally prove we don’t deserve our success. Other times, they make our desire wrong saying it isn’t the right desire. Maybe it isn’t right for them; but more often, they just don’t think they can achieve it. When I can’t make sense of life in the present, I look to the schools of initiation to see what they thought about a particular subject. They didn’t have rules or laws or even practices; they had a perspective that was very different from our perspective. They saw life as an individual sport. Competition, from their point of view, caused people to lose themselves. Competition and games were part of the illusory world where pain, suffering, and problems existed. Competition caused you to focus on the opponent instead of focusing on your True Self. Just look at the US 2012 Presidential Election. Each candidate is more focused on what the other plans to do, has done in the past (right or wrong), or whether they are telling the truth. They are both losers because neither is focused on their own integrity, their own commitment, and their own love for the people of America. Sadly, neither of them are Presidential material from ancient standards. The initiates saw competing as a vehicle for self-improvement. Winning or losing was irrelevant in their view of competition. If you’ve ever played tennis or chess with a better player to improve your game, you understand this. You want to learn from the other or push yourself harder, and you feel that you’ve won just by playing with them. When life is viewed this way, you really can’t lose. If you gained an insight into yourself while competing, you won. If both people gained insights, the interaction was win-win. The goal was about winning your True Self, and the prize was joy, unconditional love, peace, and freedom. Material prizes were such a piddling little nothing compared to the real prizes. The results of the game were mostly ignored. Often after letting go of our judgments, worries, and fears for a long time, we lose all desire to compete in the illusory world. Some of us become anti-social or reclusive (I certainly did). But when I really looked at my reclusive behavior and the why behind it, I realized that I didn’t want anyone to lose. 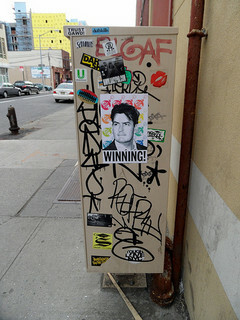 I so wanted win-win that win-lose seemed repulsive. I didn’t realize that sometimes losing pushes us to at least change our direction, ideally losing causes us to let go of the beliefs that caused us to lose. Today winning is often associated with willpower, being against the opponent, and hard work. Losing is associated with failure. That is 180 degrees from the truth. Sadly, many win the big prizes and lose themselves. What everyone really wants is winning without losing, joy without sadness, freedom without imprisonment, and peace without war or tolerance. We can have those things, but we must find our True Self. If we look at why we want to win, we can often find the answer. Then we can work on letting go of whatever blocks the way to our True Self. When we find our True Self, we enter the world of truth and win-win; losing is no longer possible. Here is another article on why our True Self sometimes lets us struggle. Barbra Streisand’s mega hit, “People,” gave fuel to the fire of codependence where needing and enabling join dysfunctional forces. I’ll be honest. I’ve always hated that song, “People,” by Barbra Streisand. 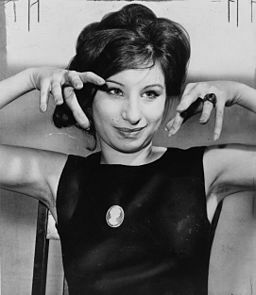 My mother was a huge Streisand fan, and she played that song over and over when I was a child. Something about those words just didn’t feel right. Then I became an adult, and I understood why. People who need people are not lucky, they are dysfunctional. That song is right up there with Jerry Maguire’s, “You complete me.” They are sentiments that fuel codependency and living life as half of a person. My mother-in-law loved when her kids were sick or had problems because they needed her. That’s not loving, that’s dysfunctional. My husband used to say, “I need you to greet me at the door when I come home.” No he doesn’t. He can like when I greet him at the door; but if he needs it, he’s dysfunctional. Let’s get real. We need air, water, and food. That’s it. People who need people are hungry for approval. People who need people are lonely. People who need people are sometimes incompetent. People who need people fear rejection. People who need people are often codependent. People who need people are NOT lucky. They are in need of mental healing, which is not a bad thing. Pretending we don’t need healing when we do is a bad thing. Codependence is a sneaky trick that our mind plays on us. It pretends to be good. There is a story about people with a giant pot of soup and spoons that are all too long. It was said that in heaven, they fed each other. In hell, they starved. But why would you have spoons that don’t work in heaven? The story is a mess. A truly independent person would figure out a different way to hold the spoon. They would go find a cup or scoop it with their hands. This is simply another form of the same, “people who need people,” trap. How Do People Who Need People Fix This? Fixing the problem is not about being a martyr and doing without. It is about recognizing the part of the need that is false, and letting that go. When I believe that I need something from someone, I observe my mind. I take my attention off the other person. My mind wants to make the other bad for not fixing my need. But they aren’t bad. This is my baggage, not theirs. Often I feel unloved, unheard, or unappreciated. Everything my mind says feels bad. That means it is not true so I let each thought go. I am finished letting go when I can finally see that I don’t need the other to do anything. I’m done when I unconditionally love them. People who need people often project their need out on to other people. I’ve often felt as if I was being coerced into playing the need fulfillment role . The needy person pretends to be in the feminine role; they want to receive. But they are demanding receipt so they are really playing the masculine (assertive) role. This is why codependence is so confusing. The people who need people are the ones bringing the problem to the relationship. But they make their request as if the person they need is the problem. The feminine role is not about being a slave, caretaker, or about receiving orders; the feminine role is about receiving love. Giving your need to someone to fulfill is not giving them love. If we stay clear and don’t fix their need, we actually support the needy person’s spiritual growth instead of enabling them. Enabling is not love; it is actually hate or fear disguised as love. The more I let go, the less I need people. This is because letting go eliminates problems, so you don’t need others to fix a problem you don’t have. When you no longer need people, you can enjoy them. You can dream with them. You can play with them. You can really listen to them. You become truly functional. There are people who need people who won’t let go of their need. So what do you do? You fix your own mind, and let them go. You let go of your need for them in your life, and allow them to find someone else who wants to complete their dysfunction. When it comes to neediness, sometimes the best love you can give is to leave the relationship. People who need people can be like crabs in a pot, they don’t want you to get out of your shared misery. Read more here. Why are Human’s So Gullible? What follows is a clip from The Tonight Show with Jay Leno. Trevor Moore, a comedian, made up fake and useless inventions. Watch the innocent people who are asked to test his products. Would you have fallen for his trick? Every day we are bombarded by marketing. We buy things that we don’t really want. We hope that the claims that the advertisers make are true. We listen to politicians and hope they are telling the truth. But do they ever tell the whole truth and nothing but the truth? Recent studies claim that people don’t just lie daily, they lie hourly. People lie about everything. People no longer feel guilty or shameful when they lie; they only feel bad when they get caught. Some people even feel bad when they don’t lie. This is a subject near and dear to me. Growing up, I was unable to tell a lie of any color; then I married a man who was normal in the lying department. I remember hoping that he would teach me how to communicate. He did; over time, he convinced me that lying was socially correct. In his eyes, I was rude and uncaring. He saw lies as charm and kindness. He told people what they wanted to hear even if it was complete crap. You might recognize him as a people pleaser. People pleasers are damn good liars. I went along with his beliefs for many years, but then I realized that I didn’t like myself anymore. My relationships had become superficial, including my relationship with him. When I didn’t tell the truth, I couldn’t tell if others told me the truth. I accepted compliments that I knew were white lies. Trying to figure out what others wanted to hear was too much work for me. One day, I decided that I was returning to complete honesty even if it had a price. I revamped my business around telling the truth, and my business thrived because it was my business. But the rest of my life didn’t thrive. I felt as if I had broken some sort of nonverbal agreement that said, “I won’t expose your lies if you don’t expose mine.” But that isn’t relationship, at least not in my world. Lying has a price that people deny. My husband believed that God wanted him to be nice, and truthful wasn’t nice. Since everyone in his life was such a hot mess, then lying was being nice, I guess. But lying perpetuates their mess. Agreeing that someone is incurable doesn’t help them find a cure. Lying keeps people stuck. God wants us to live from truth and unconditional love. When we lie to another or to ourself, we cut ourselves off from God. Then we have to get from others what we would normally get from God. We are people pleasers because we need people to like us — we are lonely because we are cut off from God. It is a giant circular mess. My biggest challenge since I reverted to telling the truth is that most people don’t believe me. The truth often sounds stranger than fiction. The truth feels odd when we are used to hearing beliefs, which are half-truths, and lies. On some level, people want to be lied to. Our false self doesn’t like when our beliefs are challenged. We were programmed to be that way. People would rather believe for a moment that their face will lose the wrinkles from an air machine or their junk will stay in place than face the facts and fix the true cause, which is always a belief. People are suckers for beliefs that feel good in the moment because they hope that the new seemingly positive belief will counteract all the negative ones. You can’t cure a belief with another belief. At best, you get some temporary relief. If these innocent people in the video knew they were beautiful or had junk that stayed in place, they wouldn’t even be pulled into the salesman’s world. We don’t need hope when we live from the truth. The biggest lies we were ever sold are: we can’t let go of beliefs, we must believe authority, and we can’t tell the truth from a lie. Those beliefs cause us to be gullible. When we let go of the lies in our own mind, we see the lies clearly in others. We don’t fall for other people’s beliefs, and sometimes they don’t like that. Like this video, their thoughts, beliefs, and even their lies become funny to us. We feel comfortable exposing them, and sometimes they even laugh along with us. Sometimes they find someone else to lie to. Either way, we don’t end up as the proud owner of a Junk Jumbler. While we are on the subject of lying, “Here are my Top Ten Biggest Lies Ever Told. We become confused when an authority takes a bottom of the triangle concept and moves it to the top or vice versa. You might want to read the Third Eye and the Triangle Process first since it explains the above diagram. You might wonder how we lost our natural third eye sight? The false self wants power over the True Self. In Jesus’ terms, the True Self was the Father within. The false self was Satan. Initiates knew that the top of the triangle related to truth; either side of the bottom of the triangle was false. False was not inherently bad unless you added judgment. If I want to control you, I take one side of the bottom of the triangle and add judgment, making it right or good. If you don’t fit my criteria for good or obey my laws, you’re labeled bad or wrong in my world. No one wants to be bad or wrong, so we don’t discriminate, we simply blindly obey authority figures. When we accept an authority’s false judgments or beliefs into our own mind, we cover up our truth or our third eye sight. We don’t do this naturally. Two year olds are known for a lack of obedience to authority. But if you punish them enough, they will learn to obey. This is the key; we learn to obey. We are not born obedient. Let’s start with a simple example. The fashion world wants women to follow the trends and buy their clothes. So beauty (a top of the triangle concept) gets redefined as whatever they say it is — tall, excessively thin, big mouth, high cheek bones, etc. In truth, beauty is within the eye of the beholder, and everything is beautiful when see with third eye or unified vision. Pretty, however, has an opposite — ugly. So the fashion world carefully promotes their definition of pretty and makes their definition of ugly bad until every woman feels bad about themselves and sees the models as superior and elite. Now they have us captive; we are hypnotized to obey their rules of beauty. We might not like it, but we buy the products and we take notice; we do what we can to look like the models so we can be called beautiful. But you see, even if we do meet their criteria, we’re still not happy. Because our True Self values beauty, not pretty. Now if we look at our triangle, one side of the bottom of the triangle (pretty) is being treated as the top of the triangle (beauty). It knocks beauty off the top, so no matter what we do, we can’t feel beautiful. If you have read anything about this, you know that the current fashion world definition of beauty is really ugly. They didn’t like the fact that voluptuous models got the attention, not the clothing. Religion invented good and evil. Our True Self is good. It can’t be anything but good, and it has no opposite. So religion redefined good to fit their criteria; and that automatically created the opponent of good, or evil. People who try to follow the prescribed definition of good wonder why they never feel free or true joy because they are stuck at the bottom of the triangle trying so hard to avoid evil. Those who behave from the true natural state of goodness are called disobedient or disrespectful because they don’t honor the false good rules. By creating artificial definitions of pure concepts that are natural to every one, we fall from the third eye, unified perspective, to the false dualistic perspective. People then try to wake up the third eye or create third eye practices in the east; or in the west, they pray or suffer or hope. But the problem is not that the third eye is asleep or defective. It is that we are looking out of our natural dual vision, and our vision has been hijacked. Our natural two-eyed vision isn’t bad; duality without judgment is pure creative potential. It is as if the whole triangle lights up. It is judgment, such as good and evil, that blocks the third eye vision. The Great Seal of America displays the third eye. Some say it is the Eye of Providence or God watching over us. Others proclaim it is the Eye of Big Brother. Even the third eye symbol has been hijacked. The initiates saw it like Jesus did; a symbol of pure vision. But later it became the sign of false authority, the rule makers, and those who watch to see if we are naughty or nice. The false self loves to pretend it is the True Self, and it has become damn good at it. When we look through our third eye, we see a cooperative world. If you long for such a world, your heart is trying to convince you to let go of the world you see. It isn’t easy. Our minds have been trained to believe what we see. But, the truth is that we see what we believe. We’re not all clones in the true world. We have different focuses, different ways of expressing ourselves, and different talents and gifts. But we don’t conflict at the top of the triangle. We use duality to create: we don’t use it to dominate or control. We cooperate. It is unlikely that us normal folks can win over the few who have mastered the duality game, nor would we want to develop their skill. But we can let go of the entire game by purifying our mind as Pythagoras and others suggested. We can reject the bottom of the triangle thoughts; and slowly move to the top where all things are possible. You can download a free copy of this booklet (downloading details below). You will also get access to a free on-line e-course. Unlocking Heaven’s Gate is about accepting a new point of view of life that is really an old point of view. Prior to the invention of religion and government, people saw life through different eyes. Heaven on Earth was reality; it was normal. Anything less than paradise was an error to be corrected. The old perspective was lost to the masses, but it was kept alive and passed on through the ancient mystery schools. Where did Heaven on Earth Go? Heaven on earth (or Eden) was replaced with the notion that suffering is normal; and that false perspective, called the illusion, continues today. Disease, depression, hatred, war, and suffering of all kinds are the product of this purposeful change in perspective designed to give all the power to the elite and disempower the masses. This book and the free on-line classroom that accompanies it will show you how to board the train back to Eden where you can fulfill your heart’s desires, live free of mental and emotional anguish, and express your unique gifts and talents. It is not about positive thinking, visualization, or strange postures and practices. It is about letting go of the wrong perspective because you were born with the right one. When you get rid of all the lies that you’ve believed, you are simply left with the truth. You live from your True Self for eternity. Sounds simple. But don’t think it is an easy ride. You see, our minds have been highly brainwashed with so many false ideas; so you have to be willing to apply what I share. This journey back to Eden has been known throughout time as the path of the initiate. It was said that one entered the mystery schools as a mortal and exited as a God. The ancient mystery school masters taught initiates how to properly use the law of cause and effect. They also taught them how to use duality for creative, win-win purposes. Most important, they taught initiates how to drop disempowering beliefs and how to free their minds. They taught them how to live from the place of complete unconditional love and compassion. If you have struggled with obsessive thinking, stress, emotional turmoil, health issues, depression or sadness, relationship problems, or any seemingly unresolvable problem, then you have beliefs stuck in your mind that are blocking your progress. But you probably don’t realize you have them. Most of our beliefs seem normal because everyone else has them. Normal is what makes you deteriorate, makes you sick, makes you fail, and makes you suffer. This information is not about being positive or putting some nice whipped cream on your mental manure and calling it a sundae. It is about removing the manure completely. Positive thinking, visualization, and most new age practices only ease our pain or cover it up; they push the manure down deeper into our unconscious. Mental techniques put beliefs on top of our beliefs, taking us further from our True Self. The suppressed manure eventually rises to the surface, and those who have mentally raised themselves up often fall hard and fast. The initiates didn’t use the mind to raise themselves up. They taught that freedom was about going down into the unconscious and face it head on, not rising above it or running away from it. They also didn’t hide their emotions or try to get rid of them. They used their emotions to guide them and help them discriminate. 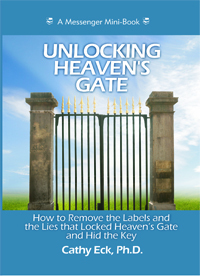 To get started on your journey back to the truth, click this link and get your completely free copy of Unlocking Heaven’s Gate. You won’t even have to give me your email address. You can share this link with anyone you feel might want this information. Once you download this book, Go to the page entitled “This Book is Unique.” At the bottom of that page, you will find a link to the Mini Messenger Book website and an identification number. Follow the link, create a personal login, and enjoy the additional classroom material. I don’t do anything with your login information. It is a requirement of the Mini Messenger Book Company. But don’t worry; they don’t sell your information or use it to market to you. Bear in mind that this course was created about six years ago. Sometimes it is working and sometimes it isn’t. The company is not reliable. Please don’t contact me if the link doesn’t work. I don’t even have contact information with the company. I’ve discovered much more since. All of my new discoveries or clarifications I’ve post to my blogs. More will be coming out in future books that I’ll announce on my Facebook and Twitter pages. If you would like a physical copy of this little pocket-book, you can order one or more copies through Paypal. Contact me with the number of copies you would like and your Paypal address, and I will send you an invoice. The books are $5 for one book, $15 for ten books, and $25 for twenty-five books. Shipping and handling is included for anywhere in the US. All proceeds are used to continue my research and spread this message. I very, very much appreciate your support. Don’t get me wrong. This is not a quick fix. The ancient initiates absorbed themselves in the techniques and ideas that I share. They worked very hard to change their perspective, and reclaim their True Self. I spent over two decades studying these people, their texts, and their practices to understand how they thought, how they lived, and what they did to free their mind. I share all of their secrets with you; but if you want the results, you will have to do the work. Embracing this new perspective is in some ways like riding a bike, you have to find it within. Another can support you until you find your balance, but ultimately they can’t ride the bike for you. So feel free to email me as you go through the program with any questions. I’ll do my best to get you up and riding more quickly. I know that this little book and course sound very strange to many people. Initiates have always been fringe dwellers of sorts. It is my hope that by sharing this information freely that it will spread and one day become the new normal. Thank you for your support, and let me know if I can make your journey easier. This might be the hardest journey you will ever take, but it is worth it. And one thing I know, everyone will eventually walk this path because it is the final path, the one that leads back to the place we started, Eden, where we were FREE. PS: This book has nothing to do with the Heaven’s Gate cult in San Diego. After I finished it, someone told me that they didn’t want to know about the Heaven’s Gate cult. I picked the name because it fit my purpose and intention. The Heaven’s Gate cult was a bunch of crazy people who definitely did not have the truth. 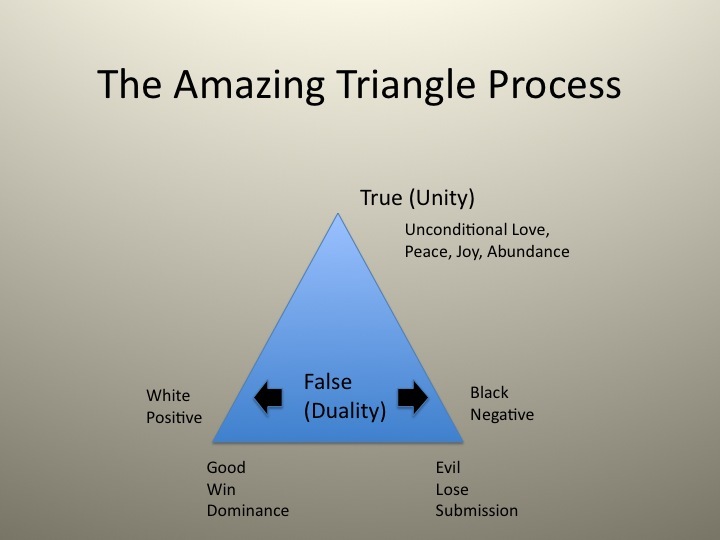 The triangle is the perfect metaphor for understanding the difference between the truth and the false illusory world. People often tell me that the triangle process (above) is the best thing that I share, but I can’t take the credit for it. I give it all to Pythagoras. I discovered the triangle process a long time ago when I was studying Pythagoras. He was much more than a mathematician. He was initiated into many mystery schools and eventually started his own. His understanding of numbers and geometry was far beyond their utility. He had what I refer to as the mental perspective of life. He saw through the eyes of the True Self. There’s a quote attributed to Pythagoras that goes something like this: “Find two sides of a triangle, and you can solve any problem.” Now most people think that he was talking about solving a geometry problem, and I did too at first. But after studying and contemplating Pythagoras for a very long time, I saw a different perspective within his wise words. I saw the triangle process. Pythagoras also said this: “If there be light, then there is darkness; if cold, heat; if height, depth; if solid, fluid; if hard, soft; if rough, smooth; if calm, tempest; if prosperity, adversity; if life, death.” He also said that we must win our soul back from good and evil. This was the purpose of the mystery schools — to win back your True Self from the illusory world of good and evil. Reading quotes by Pythagoras is much like reading quotes of Jesus. Their perspective was nearly identical; they simply expressed themselves in different ways. Jesus said, “The light of the body is the eye: if therefore thine eye be single, thy whole body shall be full of light” (Matthew 6:22). He was talking about seeing from the perspective of unity or the top of the triangle. This was an ancient mystery school teaching. When one reached the top of the pyramid, it was said that they could see like gods. This same concept is represented on the back of the American dollar bill; the Founding Fathers understood the power of the single or so-called third eye. It was a metaphor; it wasn’t a real thing. Of course, the occultists love to try to hijack such perfect metaphors by turning them into their symbols. 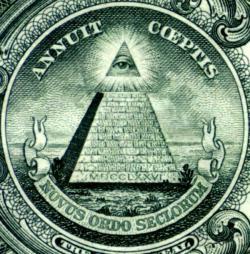 The single eye caps the pyramid on the back of the dollar bill, also called the Eye of Horus or Eye of Providence. On any topic, we can view our situation from dual eyes or from the single eye. Many associate the single eye with intuition; that wasn’t the original meaning. 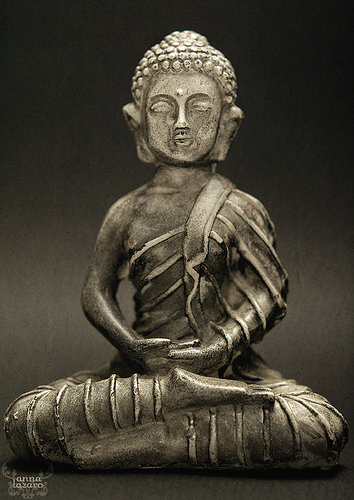 Intuition can be dual; where true single-eyed sight is always unified, more like inspiration. The bottom of the triangle symbolizes duality. Originally, duality was simply for creative purposes. You can see these black words because they are on a white page. Neither the white page nor the black words are evil or bad. They’re creative raw materials. This was called first-cause duality. Good and evil, win and lose, dominance and submission, rich and poor, pretty and ugly, etc., were all later inventions. These dual pairs contained judgment; judgment is what causes us to lose our single-eye sight, to fall. This was referred to as second-cause duality. We feel incomplete when we accept only one half of duality; we end up with a magnetic relationship with the other half. The secret of the initiates was that you had to let go of the good and the evil to rise to the top. Otherwise, your mind stayed stuck in the illusory world. Religions then made this stickiness into karma, the fall, reincarnation, purgatory, or hell, which were all poor explanations for why holding a belief in good and evil made your life miserable. If we let go of our duality-based point of view at the bottom of the triangle, we float to the top naturally. But we have to let go of the good and the evil side, the right and the wrong side. Then we look through the single eye at the top of the triangle, and we see the true world. After letting go, we might view the world as beautiful; before we saw a world where things were either pretty or ugly. After letting go, we hold a perspective of unconditional love; before, we saw conditional love or hate. We can live in abundance or waver between rich and poor. We can relate to each other in a win-win manner or in win-lose ways. What lives at the top of the triangle has no opposite. Our True Self has that point of view. When we drop our false perspective, the True Self is what remains. The third eye was said to live between the eyebrows at the top of an eye triangle. Again it was a metaphor for the single eye. Fear is the fuel that keeps the bottom of the triangle (the illusion) alive. When we withhold the fuel, the fire of the illusion dies out. We know we’re at the top of the triangle when our sight is pure, and we no longer create opponents to battle or needy people to save. We have to recognize that the ideas at the bottom of the triangle were created by man’s false mind. They’re not the truth. The truth has no opposition. That which is dual and divided with judgment is simply false; and false has no power except that which we give it. When we recognize that beliefs are false within our own mind, they begin to lose power. When we absolutely know they are false (as Jesus and Pythagoras did), they disappear from our vision. Our eye becomes single. Click here to for a similar article on the tree of life versus the tree of good and evil.